Foley students have a wide variety of art classes available to peak all levels of creativity. Classes include: Digital Design, Photography, 2D Studio Art, 3D Studio Art, and Video Production. Besides learning in the classroom, students have the ability to take their creativity to the next level by competing in local and national competitions. In the fall, the video production class hosts a Film Fest at local theatre. Students from the video production class put together a variety of short films where staff, faculty, and students are cast as the actors. Every year the city of Madison Heights hosts an art challenge. This is open to students that reside or attend a school in Madison Heights. Eight awards are given to students in the High School division. Foley students can submit artwork for this competition. 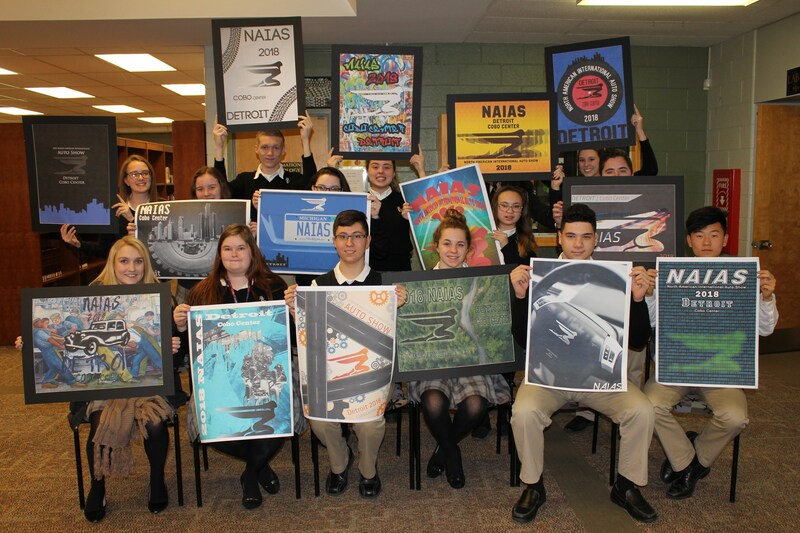 Foley art students have the opportunity to submit artwork for the annual North American International Auto Show Poster contest. Several scholarships are awarded for categories such as best theme, best use of color, most creative, and much more. All winning entries are on display during the auto show at Cobo Center and in the official program. Since 1923, the Scholastic Art & Writing Awards program has recognized the vision, ingenuity, and talent of our nation's young artists and provided opportunities for creative individuals to be celebrated. Every year, an increasing number of teenagers in grades 7-12 participate in the program. The goal of the program is to encourage artists, writers, filmmakers, photographers, poets, sculptors and others to continue pursuing their creativity after graduation. This program has grown to be the longest running and most prestigious recognition for winners. It also provides one of the largest source of scholarships for young artists and writers.